It is not easy to let go of all the things that stress us. Some of the factors for our stress are livelihoods, bills, and the responsibilities we have for our families. Stress is not, at all, healthy. Stress lowers our immune systems and may be a cause for chronic migraines. These symptoms may lead to serious issues in your health. Always remember that no matter how much money we have, no matter how much money we make – our health will always be the true wealth. Jogging and walking in the morning have a unique effect on people. These boost your confidence and make you think better, clearer, and more positive. Jogging also gives you the chance to sweat out the toxins and just dance to the beat of the song playing on your music player. This is what de-stressing is all about! Get three hobbies with three benefits. Get a hobby that grows you. Get another hobby that improves you. And, lastly, get a hobby that satisfies you. Just breathe and get into it. If you love it, do it. Stop second-guessing what you really want. Never doubt wanting to get that new set of shoes. If you want to go on that trip, book it. Our stressors have a way of draining us to the core. It is important that we do the things we have always wanted to do. If not, they will cause us even more stress. We all know what this means. When we do the things we love, it’s no longer work or school. It’s something we will have fun doing. It would not cause us stress. Always choose to do the things you love with your heart. This way, it’s not stressful to get through the day. If you are into books, never feel guilty for getting some time alone with new reads. Watch that movie. If you are into films, get those substantial reels working! Never feel guilty for giving time to the things you love indulging in. Especially if it’s your rest day, do it. No matter how busy you are, always make sure you have the time to de-stress and unwind from all the things that are clouding your mind. 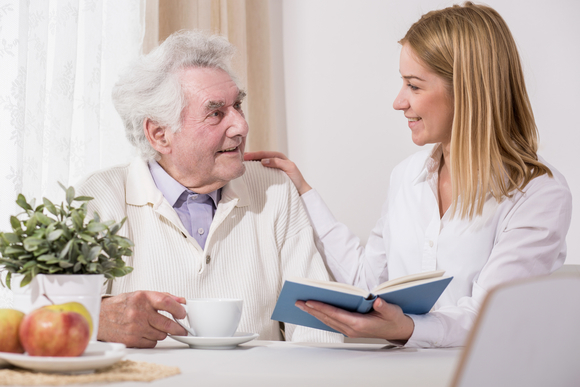 With the assistance from providers of Home Care Service in Woodbridge, Virginia, you can have a way to look after your physical and mental health. Always manage your overall health more than the other things you think are important. At OptimumCare Home Care Services, we care for you through the finest quality of service. Inquire about our services and consult on your needed home care today! This entry was posted in Non-medical home care and tagged companion services, Healthy Living, home care services, stress reliever. Bookmark the permalink.